Transfer Points Virgin America Alaska Airlines - Now Live! Points Transfers From Virgin America to Alaska Airlines Are Now Live! 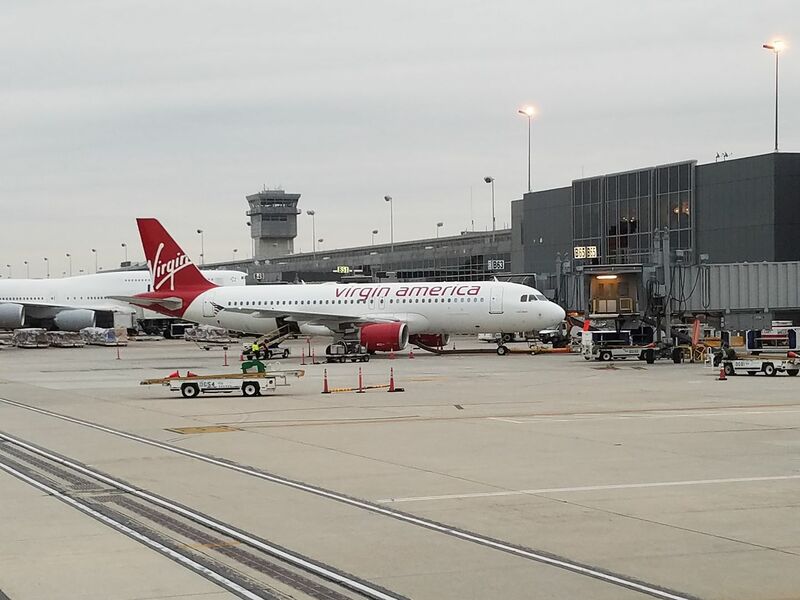 With the closing of Alaska’s acquisition of Virgin America last month, it was announced that Virgin America miles would transfer to Alaska Airlines at a ratio of 1 to 1.3. That functionality is live. You can now convert your Virgin America points to Alaska Airlines. Log in with your Virgin America credentials and choose how many Virgin America points you’d like to move. The site says “[t]here are no minimums or limits on Virgin America Elevate exchange transactions” however I found that there was a minimum of 50 points that I was able to move. The process is being managed by Points.com, the tab on my browser, in addition to the transfer URL, identified Points.com. Transfers appear to be one way only. You can move points from Virgin America to Alaska, but not from Alaska to Virgin America. However, points do seem to transfer quickly (minutes, albeit not instantaneous). There is no reason to do this until or unless you’re ready to make a specific award redemption through Alaska. Transfers aren’t going to go away permanently until Virgin America Elevate goes away permanently. And you could find yourself wanting to redeem Virgin America points on one of their partners like Virgin Australia. Seems like there’s an arbitrage opportunity here for transferring points the other way, i.e. Alaska -> Virgin America. As more miles continue to flow to Alaska, the scale will tip and the value of the Elevate points will increase. The trick would be to wait as long as possible to transfer into Virgin so that the conversion rate continues to increase…maybe a week or two before they discontinue the program? I realize there’s some risk in posting a strategy like this in public but I’m curious if there are any other savvy travelers out there who picked up on this possibility. @Hosea I don’t think the conversion rate will get any better, except possibly for a few promotions. Loyalty program currencies are classified as a liability or debt that are carried on their books…the value of the forgone revenue when they are redeemed. Any unconverted/unredeemed Elevate points that vanish when Elevate ceases are liability/debt that no longer has to be carried on the books. There is little if any incentive to make that debt *increase* by increasing the conversion rate. Slightly related… did anyone have a bonus 10,000 miles added to their Alaska account? I did, and I had zero Virgin miles; although I opened a Virgin account early in 2016. @dhammer53 did you have points in your account at some point? I opened one also with the intention of transferring some points but never did. I had no points in my account. When things started buzzing last April, I signed up for an account. I went from 0 to 10,000 points. So, should I accumulate miles in Virgin’s or Alaska’s plan for flights on Virgin? Hosea: Transfers are only one way (VX->AS).